Brandon has helped thousands of entrepreneurs to start, and scale, successful digital marketing businesses. As Creator of the RankDaddy training platform, his concept of "outsourcing everything" allows his followers to scale at a pace never before thought of, giving his students, freedom to get their life back! All right. 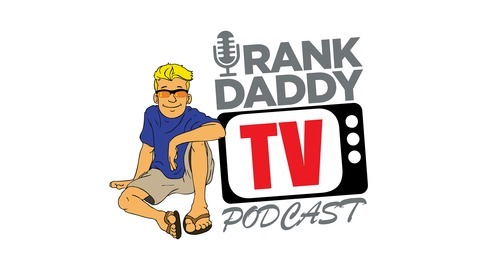 Today, we’ve got another episode of Rank Daddy TV, number 20. I’m going to show you and tell you how to scale your SEO and digital marketing agency. Not only how to scale, but how to start and scale and do it fast so that by the end of year one, if you only took baby steps, you’re making $144,000 a year. Ready? Let’s go. I’ll show you. So here’s the question. How can marketers like us, working only part-time and running our entire business from our laptop or smartphone, how are we able to guarantee insane results to our clients when the mainstream internet marketing gurus say that guarantees are impossible? That’s the question. And this podcast will give you the answers. My name’s Brandon Olsen and welcome to Rank Daddy. All right, so let’s talk about this. How to massively scale your SEO business. This is something that I wanted to do from the very beginning. I wanted to be able to create a way to make money online so that I could yes, work from anywhere and work part-time and not be tied to a location or a job, a time clock or a person, An answer to myself type of thing, right? Laptop lifestyle. But as I began to develop the process that is now Rank Daddy, it got better and better and better. At some point, I just said forget the laptop lifestyle. I want to be able to run every single thing from my phone, my smartphone. And I knew it was possible. And so every decision I made from that point forward was geared to that end goal. Working from wherever I wanted. I don’t care if it’s, you know, The Bahamas or the Caribbean or Florida or wherever I was, wherever. Work from anywhere, ultra, ultra part-time. And some people, you know, part-time is 30 hours a week. Some, it’s 20 hours a week. I wanted to get it under 10 hours a week. Right now, my SEO business takes about two hours a week and I think I’m stretching that. I don’t think it’s anywhere near that. So ultra part-time, run from my smart phone. What else? Time freedom. Spatial freedom. I don’t know. Okay, so how does scale your SEO business, and this is how I did it, I created a process to be able to rank sites on demand. Once I figured out that process, obviously there’s moving parts to it. So once you get when you get Rank Daddy is the entire process and it’s broken down into about seven steps where if you simply outsource each one of those steps to the spots that we tell you to outsource to and these are already been vetted, already been tested, they’re quality controlled by Rank Daddy, if you have a problem with them and they don’t take care of it, you come to us, we take care of it. You simply outsource step one, outsource step two, step three. You can literally have stores the entire month of work in less than 30 minutes. The average client, and this is a poll over the entire student body, every member of Rank Daddy, is $1,000 a month. The next average is $1,500 a month, then $500 a month, then $2,000 a month. So you’ve got really good numbers and really good averages. And at worst case scenario, you’re spending half that to outsource everything in month one and two. Wen you get to month three and four, now you’re spending only about 30% of that, 25 maybe. You get to month eight, nine, 10 and a year into these things, sometimes it doesn’t cost you anything. Sometimes you’re at 10%. You’re keeping 90% of the money. So we like to talk about, you know, $1,000 dollars a month cause it’s a round number and it’s the average. So if you land a $1,000 a month client and each one you land, you can literally spend less than 30 minutes outsourcing every step with the process that we have. Like, there’s no guesswork. We show you the process. We teach you how to do it. Some students get in there and they’re like, “Ah, this is too much for me,” because they don’t get to that last video that says, “Hey, if you don’t want to do any of this, click here, just outsource it. Have somebody else do it,” and it’s dirt cheap and it’s guaranteed and we back it. It’s backed by us, so don’t get overwhelmed. When you get into Rank Daddy and there’s so much teaching, we want to teach you also the correct ways because there’s some students who want to do it themselves and that’s fine. Some people like to do the geeky stuff. I don’t. I wanted to come into this as I built it, developed the streamline of this process to be able to literally outsource anything. Otherwise, I couldn’t work from anywhere and I couldn’t work ultra part-time. If I’m doing a lot of the pieces, that’s more time. My time is worth more than my money, so I want to be able to quickly land a deal, quickly start step one, two, three, four. Now, when you get into this and you’re doing what I’m doing, you’re not even outsourcing the stuff. Your website has a form on it that’s an intake form. When you get a client that says, “Yeah, I’ll try with it. I’ll give you a month or two and see how it goes.” “Great. Fill out this form. I’ll send you an invoice by email. You pay that, we’ll get started right away.” Boom, send the invoice. They send the $1,000. They fill out the form. The form now hits my virtual assistant, my guy that works for me, he sends out process to step one. He says, step two, step three and so on and so on. He’s doing all that and so in Rank Daddy, we also teach you how to hire and get a hold of these virtual assistants that for very, very little money can help you to run your process. You can use the videos to train them that we provide to you. Like, it’s literally an all in one course. It’s the last digital marketing course you’ll ever buy. And if you don’t know already, it’s a dollar to try it for 30 days. Completely transparent, completely unlocked everything so you can see and try for yourself before you decide to spend any money on it. We once sold this for $4,000 and hundreds of people came in, but I wanted to help more people, so it’s a dollar. How to scale your SEO agency is by outsourcing everything. Even the step where instead of you’re outsourcing each step yourself, you’ve got a guy in that position that now takes that intake form when it comes in from the email notification, your client just filled it out. He’s already paid you. The money’s in your bank. He’s outsourcing each step, right? I mean, that’s the ultimate goal. That’s the end game. That is like, so fulfilling to be able to have a system set up like that for yourself. Obviously, it won’t be like that in the beginning because when you get in, yes, you’ve got to go through the training videos, that whole thing, every training video might take you three hours to do. Break it up however you want to do it. Watch it all at once; I don’t care. You just need to know the order that things are applied when you land a client. And you will land a client, we will not let you get by 45 days without landing a client. Because if you do, we will refund your first membership payment of $199. Now you’ve got another month of no pressure, no money, you’re using none of your own money to land clients and we’re helping you every step of the way. In fact, if you’re new, we will throw you into an accountability group with a guy whose name is Ed, who is a veteran in the group and he’s scaled beyond $30,000 a month, has created his home, his own mindset course, and he will personally help you along with me and the other veterans in the course to land clients. The only way you don’t land clients is if you don’t do the process. You get down and you come in and you learn some things and you figure, “Hey, this one over here, this probably is going to be easier to do it this way.” Look, the easiest way to be successful with this, to be successful in running an agency is simple. Just take an agency that’s already been successful and copy what they’re doing. Don’t change it. McDonald’s has thousands or millions, I don’t know, hundreds of thousands of franchises all over the place. None of them sell chicken legs. Why? Because all the other stuff works perfectly. There’s a system in place. Rank Daddy is that system. Let it be the system for you. The process is clearly defined. The process doesn’t change. It doesn’t matter if you’ve got a dentist or a roofer or a plumber, plastic surgeon, or a mattress sales store, or an online business, whatever. The process is the same. You can rank any client, any website, on demand simply by following the process. So we show you how to get out there, show results to people so that they can try this with you and pay you $1,000 a month. So, now if this is all you’re having to do is go out and land clients at $1,000 bucks a month, everything else is being done for you, either because you’re spending 30 minutes per client per month outsourcing everything or because you’ve got a VA, a virtual assistant in that position doing it for you, how fast could you scale your SEO business? Since that’s the subject of this video. How fast could you grow if you are knocking down $1,000 a month deals left and right? Okay, so what if you only did one a month. By the end of 12 months, you’re making $144,000 a month. Now, like I said, the first few months, you might spend half of that and I’m exaggerating, because you usually don’t. The worst case scenario is you hire us through our white label program, you pay us half, you keep the other half and we literally do everything for you. It’s totally hands off. It’s white label. It’s your client. You keep half the money, you take all the credit, we do all the work. That’s worst case scenario. But here’s what happens and here’s why this is in place. Because new students come in and they’re not comfortable with the process, or they’re afraid it’s not gonna work for them because they get all anxious. Don’t care. Let us do it. Guess what? Month or two in, you’re now confident. We can phase that guy right over to you. Now it’s your customer and you get the 70%, 80% and spend the other 20% on the outsourcing. So how fast could you scale? If you only did one a month, that’s like baby stuff. One a month, one every 30 days. One client? That’s $144,000 a year for your agency. So yeah, maybe you’re going to spend $44,000 of that on the actual outsourcing to get the work done through the channels that we keep it simple, stupid setup for you. Follow the steps. And that’s only one. Now, start doing some math, running some numbers. We have a nice document, a Google sheet in our, in our, in our training it says Run the Numbers doc, so you can literally look in there and you can plug in and play with. What if you landed two a month? Let’s see, that’s $288,000 a year. What if you spent $88,000 of that on outsourcing? Now, you’re taking home $200,000 a month. You know how much you’re working? Way less than 10 hours a week. Way less. This is how I scaled my SEO agency. This is why I started Rank Daddy, because I figured, man, if I can do this and it’s that easy, I could teach other people how to do it. It’s just a natural progression for me, right? I get in, I learned something and then I start teaching other people how to do it. And I don’t want your money if it doesn’t work for you. If you get in and you realize you don’t, you can’t do it. I don’t want or need your money if you can’t make a crap load with Rank Daddy, okay? That’s why it’s a dollar for 30 days. That’s why it’s $199 a month after that and I want you to use the client money to pay me to continue your education and your support and being able to stay in the Facebook mentor group and be able to ask questions when you have them and get immediate answers, 365 days a year. If you can’t and if you don’t land a client within 45 days of you coming in and going through this training, I’ll give you the first $199 back and you keep plugging away, or you leave. It doesn’t matter to me. My life will not change either way whether you stay or go. I’m not going to buy a new house. I’m not going to buy a new car. I’m not going to take an extra vacation whether you stay or go after your 30 days. I only want you to stay if this thing is making you a crap load of money. And we see students come in month in, month out, landing multiple deals in month one, multiple deals in month two. So when I say one deal a month is $144,000 a year, that’s baby time. That’s light. It’s light. So, this is how you scale your SEO Agency. But before you scale, you’ve got to start. Start by going to RankDaddy.com. Click that orange button that says, Give Me a Try or whatever it says, put your email in. The next screen is you pay your dollar and now you’ve instantly got access. The first thing you do is read your welcome email because it’ll tell you how to get in the group and where to start, some of the really important things. Next thing, you’re added to the group, read the pinned post. And if you want a fast start and you want to get on this money back guarantee, do the 30/30 challenge, 30/30 challenge. So, three steps. Join for a dollar. Read the welcome email. Read the pinned post. Scale your agency and join us. We’ll see you guys on the inside. So. that’s it for today. 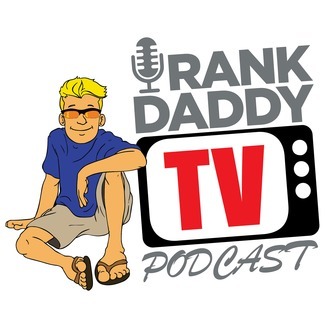 That’s the end of Rank Daddy TV, episode 20 and subscribe. If you liked the content, leave a comment, I’ll reply. I reply to all of them. That’s what I love to do. Have a good one, guys. Thanks for listening and thanks for watching.